The best superfood on the planet? Resveratrol is a phytoalexin (phytoestrogen) formed naturally by several plants when under attack by pathogens such as bacteria or fungi. Resveratrol has also been synthesized by chemical processes and is sold as a nutritional supplement prepared primarily from Japanese knotweed. In human the supplements include resveratrol is mainly for life extension purpose. In the study of Resveratrol in human, extremely high doses of resveratrol in a special proprietary formulation have been necessary to significantly lower blood sugar. Resveratrol is found in the skin of red grapes and is an ingredient of red wine. Resveratrol, a compound found primarily in red wine, is a naturally occurring antioxidant. Resveratrol has been found to help prevent the negative effects of high-calorie diets in humans. Studies have demonstrated that resveratrol is a potent antioxidant, has the ability to inhibit platelet aggregation (sticking together) and has anti-inflammatory, anti-aging and anti-cancer characteristics. These characteristics may help prevent free radical damage to our body and provide protective support to the blood vessels caused particularly by elevated levels of blood glucose. Resveratrol is susceptible to light and oxygen; as such, the red wine should be keep away from sunlight, in air-tight, cool temperatures to protect its resveratrol potency. 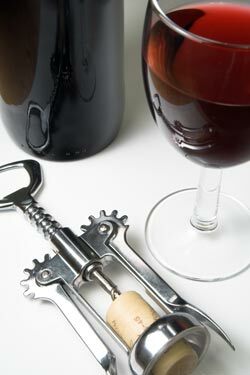 It is said that the climax resveratrol potency available soon after opening a bottle of red wine. Due to this reason many people like better dietary supplements as their source for resveratrol. Most of these supplements contain resveratrol achieved from the herb called polygonum cuspidatum. It should be noted that when taken orally, the bioavailability of resveratrol appears to be low as it is rapidly metabolized and eliminated. There are a lot more health benefits from resveratrol. Among them the most important one is its ability to increase life span and it also has a remarkable anti-cancer effect. Resveratrol’s most exciting health potential is its broad-spectrum activity against cancer. Experimental models have shown evidence for beneficial effects of resveratrol for breast, prostate, lung, blood, skin, brain, kidney, bladder, tongue, esophagus and colon cancer. It also seems that resveratrol also sensitizes cells toward cancer therapy agents, thereby improving the beneficial effect of these drugs. When mixed with other plant-derived phenolics, resveratrol’s anti-cancer actions have been proven to be increased. Some previous studies reported that resveratrol is protective against heart diseases largely due to the antioxidative properties of this compound. There are some additional benefits are also getting from consuming resveratrol supplements. They are following. It decreased risk and severity of strokes and reducethe severity of Alzheimer’s disease. It improves skin healing. It protects the body against pancratitis, diabetic kidney disease, liver damage and osteoarthritis. The activity like suppression of appetite by resveratrol in turn controls weight. It improves the sperm production in male and also it inhibits the cataract formation to the eyes. It also inhibits the proliferation of herpes simplex virus. Resveratrol is a natural antioxidant found in red wine and red grape skins, known to protect against a range of illnesses and diseases including neurodegenerative diseases such as Parkinson's or other dementias, cancer and heart disease and more recently documented for its role in extending lifespan. Resveratrol concentration is measured in units called micromolar (µM), and an average red wine could have 3 to 4 µM. Wines above 5 µM of resveratrol are considered high, those above 7 are considered very high and any product above 10 is extraordinary. New York wine had an average of 8.3 µM in this category, with all non-New York cabernet sauvignons at 3.7 µM, and California's at 1.7 µM. New York cabernet sauvignon Francs averaged 8.6 µM. A comparative table is following to understand the average levels of resveratrol in different types of wines. Recent studies suggest that resveratrol, a red wine extract, may be able to extend our life (study - D Sinclair of Harvard Medical School in Boston and colleagues at the University of Connecticut and Brown University in Rhode Island - published in July 13 issue of Nature). There has been several studies concerning mice, flies and worms concerning the impact of Resveratrol, which is found in red grapes. According to Dr Rafael de Cabo, from the National Institute on Aging at Harvard Medical School, USA,: "After six months, resveratrol essentially prevented most of the negative effects of the high calorie diet in mice." To investigate the effects of resveratrol on mammals, The Harvard Medical School researchers carried out studies on middle-aged mice that where fed a high-calorie diet, with 60% of the calories coming from fat. These mice shared many of the similar problems of humans on an equivalent diet, including obesity, insulin resistance and heart disease and the study also become successful. Recent research had shown that orally administered resveratrol lowered lipid levels in the liver of rats. Wine had been shown to lower serum lipid levels in humans. The concentration of resveratrol was measured in selected wines using HPLC and spectrophotometry. Johan Auwerx (at the Institute of Genetics and Molecular and Cell Biology in Illkirch, France) and coauthors published an online article in the journal Cell in November, 2006. Mice fed resveratrol for fifteen weeks had better treadmill endurance than controls. The study supported Sinclair's hypothesis that the effects of resveratrol are indeed due to the activation of the Sirtuin 1 gene. Researchers involved in resveratrol studies are hopeful the chemical eventually can be synthesized and sold as a life-expanding drug. Even so, they contend that there is no guarantee the results already observed in lower animals can be produced in humans. Red wine consumption is no guarantee either. SRT1720 is a drug designed to specifically hit a protein linked to the life-extending benefits of a meager diet can essentially trick the body into believing food is scarce even when it isn't, suggests a new report in the November Cell Metabolism. This drug acts through the protein SIRT1, enhances running endurance in exercised mice and protects the animals against weight gain and insulin resistance even when they eat a high-fat diet, the researchers report. The drug works by shifting the metabolism to a fat-burning mode that normally takes over only when energy levels are low. Resveratrol also acts on SIRT1, but its influence on other metabolic actors had left room to question exactly how it works. SRT1720 also improved blood sugar tolerance and insulin sensitivity and endowed the animals with greater athletic ability. SRT1720 activates one of several enzymes that regulate the function of mitochondria — cellular power generators that convert glucose into chemical energy. The wearing down of these generators has been linked to heart disease, Alzheimer's disease, diabetes, cancer and other age-related afflictions. That same enzyme is also targeted by resveratrol, a naturally occurring compound that reduces age-related diseases in lab animals and is already used by longevity enthusiasts.